At over 30 tons, the Boxer armored fighting vehicle is heavier than most tanks of World War II. It is designed as a modular system-capable of fulfilling multiple mission roles. Its primary function is to serve as an infantry transporter. 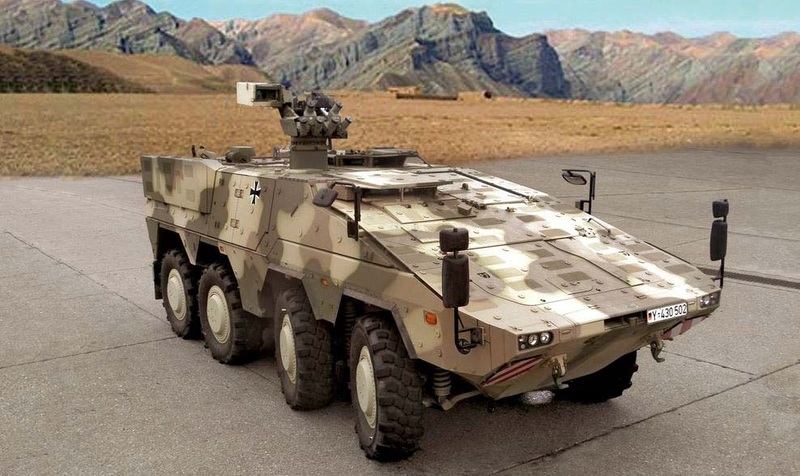 It can carry an eight-man fire team into combat, protected by AMAP composite armor and then deliver fire support with a remotely operated automatic 40mm grenade launcher. The vehicle's combat effectiveness is currently being studied in operational units fighting in Afghanistan. Kit features four decal sets and optional armament.